We all are different. Some of us prefer active sports games, while others can’t live without logic games with difficult tasks. But actually, there is one thing that unites people all over the world regardless of their age, nationality, and preferences – board games. In our world, there are thousands of various board games each of that is unique and require certain skills and mindset. 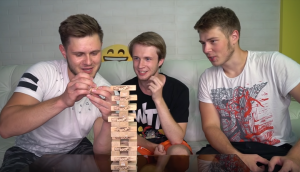 In this article, we will talk about the most popular game in almost all countries- Jenga. It was firstly created in a far 1974 and till nowadays remains the favorite game of many millions of people all around the globe. Do you know what is the best about this simple from the first view game? Of course, company! 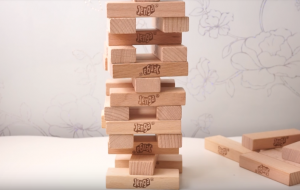 The simplest rules and venturesome game process have turned Jenga into an indispensable attribute of many fun friendly parties as well as cozy family evenings. Incredible combination of the exciting spirit of rivalry together with each other’s support have made this game one of the best choices for companies. Did you now that the good company is half the battle? It doesn’t matter, whether you win or lose, the great pastime is guaranteed. 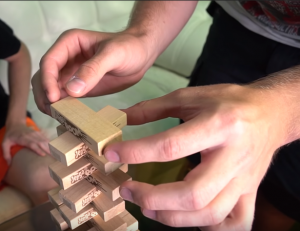 Our Jenga game club unites people from different cities and of different ages but they have one thing in common – they all are huge fans of this world-popular game! Do you want to become a member and surprise everyone with your Jenga skills? Find new friends and learn useful tips about the game? Our community has been created for those who want to diversify your life and meet new friends with the same interests.